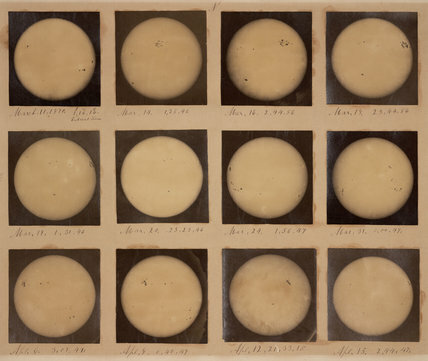 Sir Norman Lockyer (1836-1920) took this series of 12 photographs of the Sun from his observatory in London, England. These images were taken using a photoheliograph, a photographic telescope based on an original instrument (Inv. No.1927-124) designed by Warren de la Rue (1815-1889). 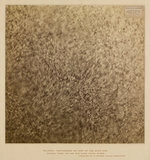 These solar photographs were displayed at the 1876 Loan exhibition, which was held on the site of today's Science Museum at South Kensington, London in England.